One of the most important areas of your home ground is the garage where you shelter a very precious asset – your car. At Smarter Flooring we know how people value their car simply because it is an expensive asset. It satisfies the owner for travelling needs especially to the workplace and for leisure. An epoxy floor for the garage is the right choice. It is strong, tough and durable. An epoxy floor that is applied properly offers the user maximum utility and satisfaction from an excellent product that we can deliver. 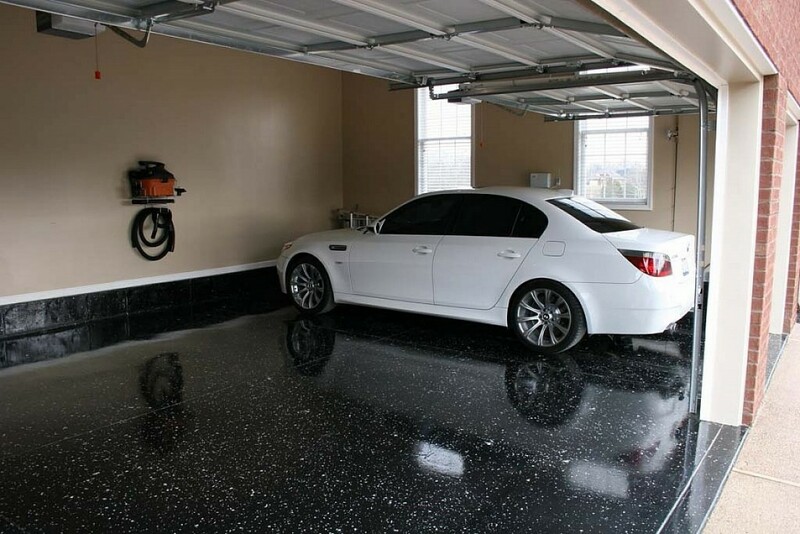 At Smarter Flooring we know everything there is to know about applying epoxy flooring to your garage. We know the value to place on the safety and security of your car. We know how to mix the perfect epoxy ingredients of resin and hardeners to arrive at just the right kind of floor covering for your garage. We have been working with epoxy for many years and we know how to mix, apply and set the perfect finish for the floor of your garage. There are no flaws in our professionalism and the excellent results of our workmanship. We not only apply superb epoxy flooring to garage floors. We also carry out periodic inspections and do maintenance and repair work whenever needed by our clients. We are committed to keeping our product in top condition for all our clients and your garage will be no exception for falling under the expert scrutiny of our professionals. There is just nobody like us in the epoxy flooring trade. With our experience and expertise, we are the perfect candidate for installing a great epoxy floor for your garage. Ring us now on email for a free quote and let us dazzle you with an ideal epoxy garage floor.